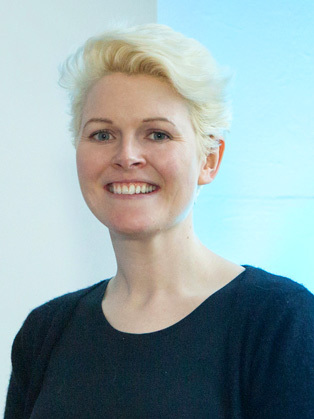 Whilst working at Insider Trends, Cate has helped brands such as Chanel, Galeries Lafayette, Marks & Spencer, Swarovski, Fujitsu, Metro Group, Samsung, Jaguar Land Rover, Mercedes, Puig, Nike, Lego, Johnson & Johnson, Levi’s and EE innovate and create world-leading retail ecosystems. Cate frequently works with senior team members – including Unilever’s CEO, the General Manager of L’Oreal France, Mega Image’s CEO, House of Fraser’s CEO, Clarks’ Managing Director, Tom Tailor’s CEO, Carrefour’s Chief Operations Officer and the board of Hugo Boss. She is a very experienced speaker, regularly making keynote presentations to audiences of up to 800 people. In the past 12 months, she has given presentations in 11 European countries, as well as Peru, Colombia, Guatemala, Honduras, Nicaragua, Mexico City and New York. Cate combines unique, powerful insights with solid data, presenting them in a no-nonsense way. She uses inspirational case studies to show how audiences can tap into these trends and get ahead. Cate’s presentations draw on her personal connections and interviews with retail innovators, as well as first-hand experience of the world’s best retail spaces. This enables her to develop fresh perspectives that challenge and enlighten audiences. The final presentation left the movers and shakers of the retail industry with something very interesting to mull over for the weeks and months to come. I’m very fond of Cate’s way of working, which is to gently reinforce her hypotheses through an accumulation of case studies and examples. Her slides were something to behold, they made you want to visit every store or try every app she mentioned. She refers to herself as “the 26th most influential person in retail” but you’d to be hard put to imagine that there are 25 more engaging and delightful thinkers or presenters out there. Being able to stay ahead of the game and identify future innovations has been incredibly valuable. With a relaxed style and presentations jam-packed with relevant and new facts, stats and ideas, we would highly recommend Insider Trends to any forward-thinking organisation. We enjoyed Cate’s dynamism and, of course, professionalism. My team was very happy with the session, I heard that it has been a very long time since they had such level of performance. We loved Cate’s energy and confidence! The session had a good balance between being informative and fun. I’d recommend Insider Trends to businesses embarking on a digital journey, which often calls for business transformation and change from tradition.